Here is a list of the best prices for the Insta360 ONE, one of the most popular 360 cameras right now, after the new FlowState stabilization update. This list will be constantly updated. Last updated: April 12, 2018. $269 from GearBest (lightning sale; no code needed) . Also check here. See also: the Android adapter ($28) . See also: waterproof housing case ($44) . See also: invisible selfie stick w/o Bluetooth ($20). Note: one benefit of buying with Gearbest is I have a strong relationship with them, so in case you have any issues, you can contact 360Rumors via Facebook and give me your Gearbest order number and the email you used, so my representative can help you. Waterproof housing: original case out of stock. 3rd party case: $51. 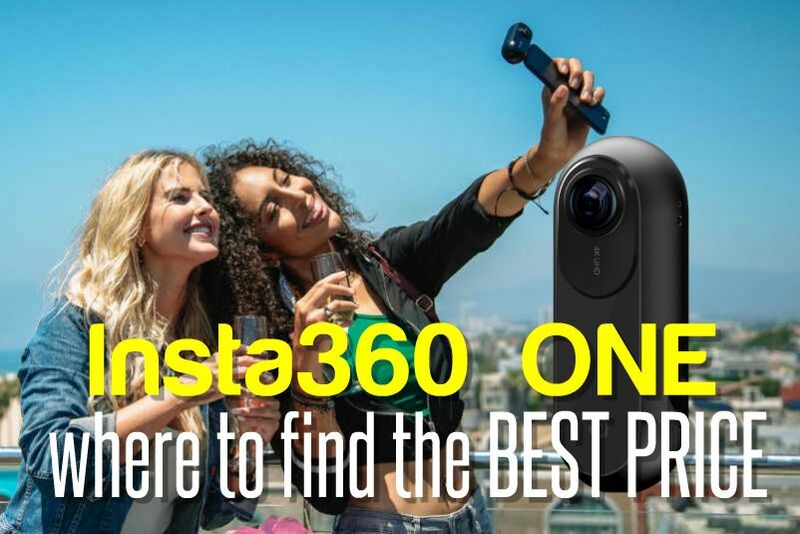 $299 from Insta360 direct, free shipping, tax included. Insta360 Pro: $3499 from Insta360 direct. Insta360 Air for Android: regularly $129, now $99 on Gearbest (Micro USB or USB Type C), Amazon, or Insta360 direct.